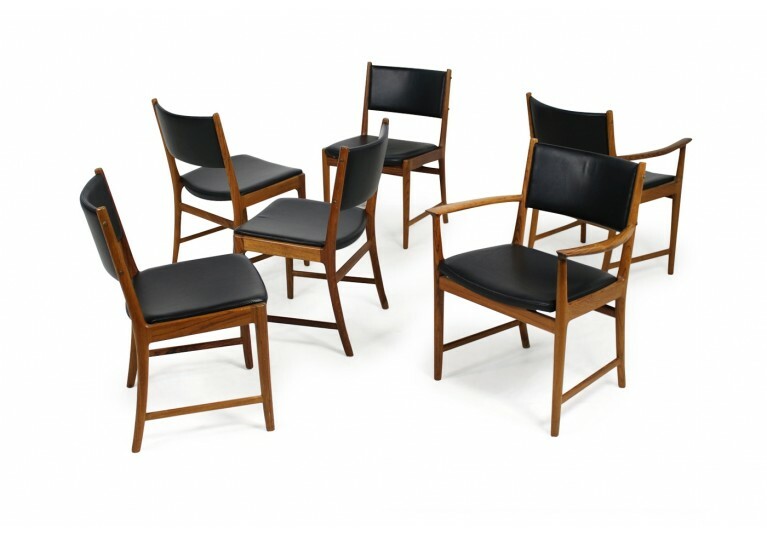 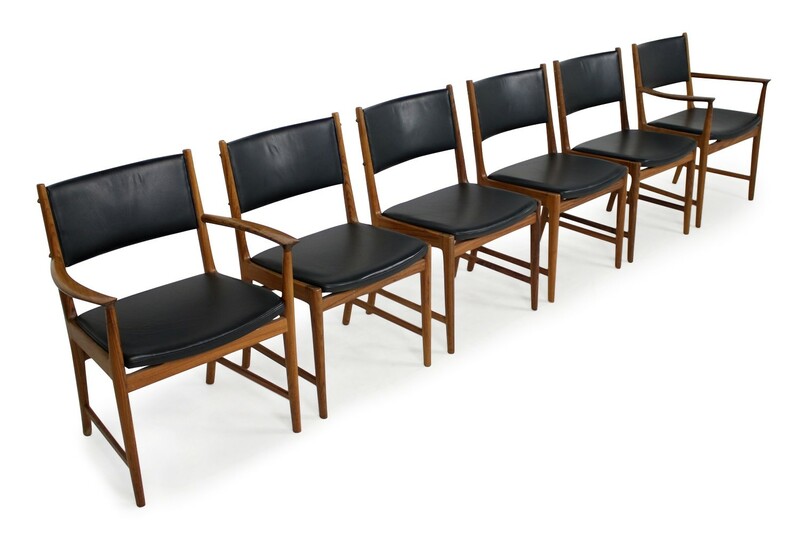 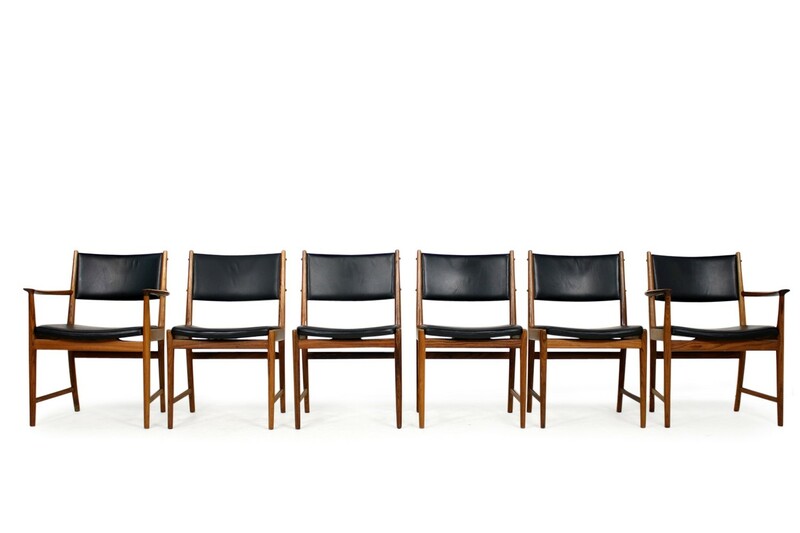 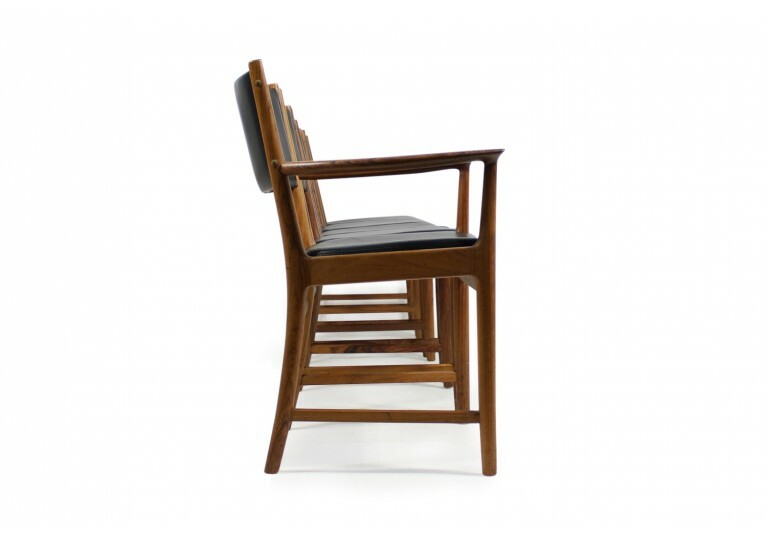 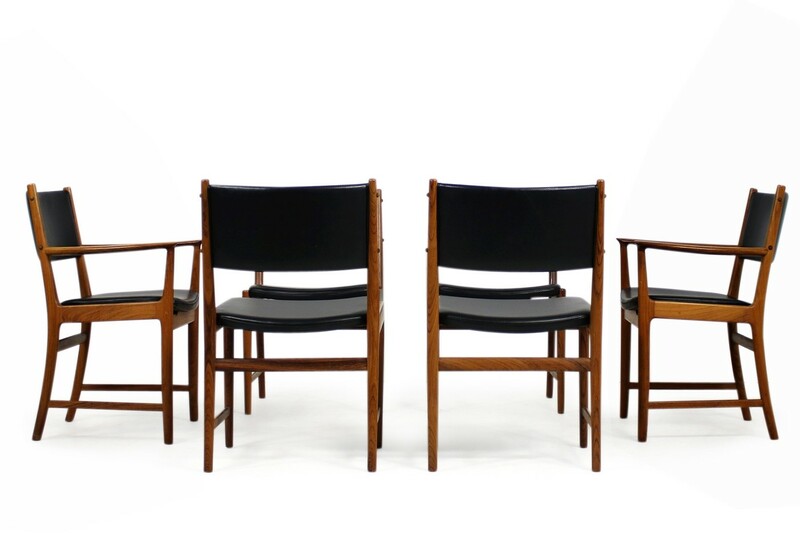 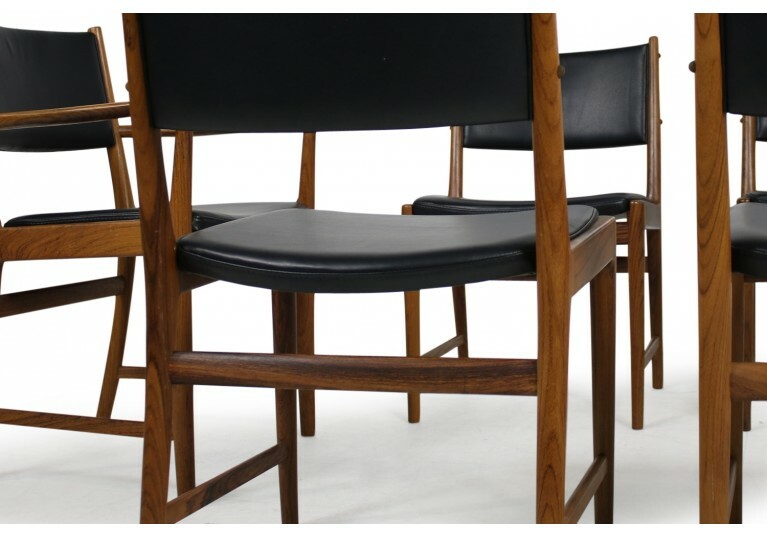 Amazing set of six Kai Lyngfeldt Larsen chairs, made by Soren Willadsen, Denmark in the 1960s. 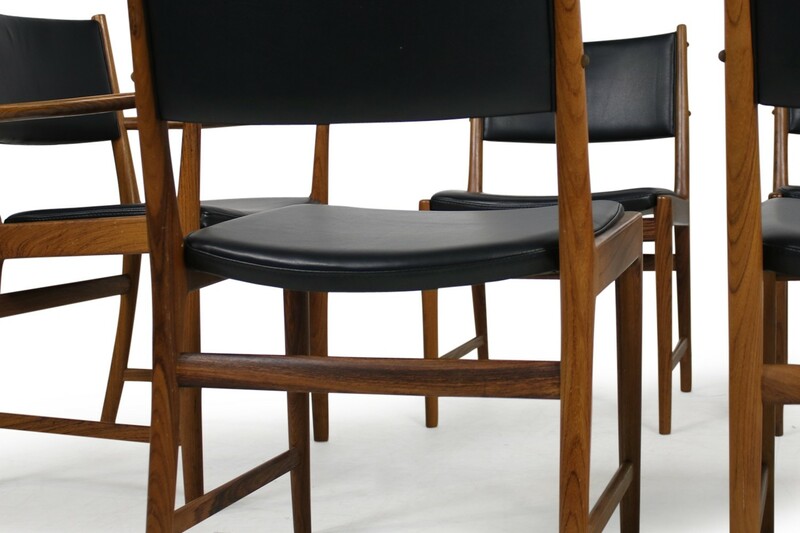 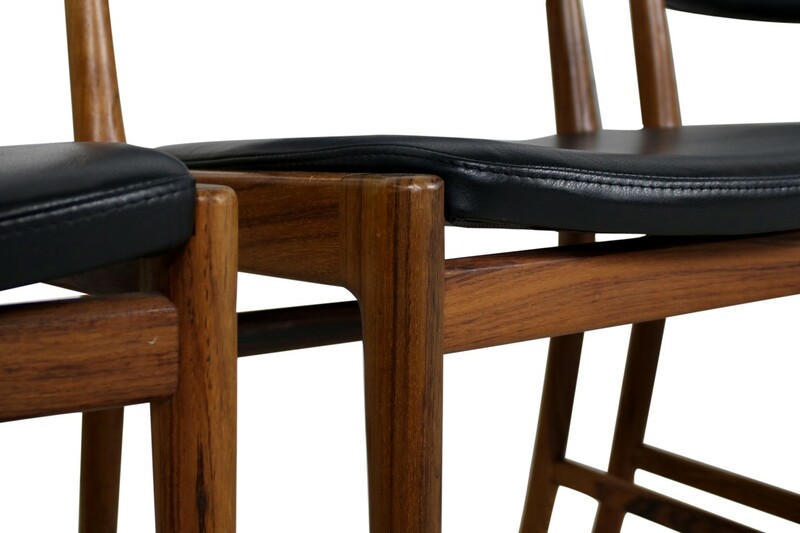 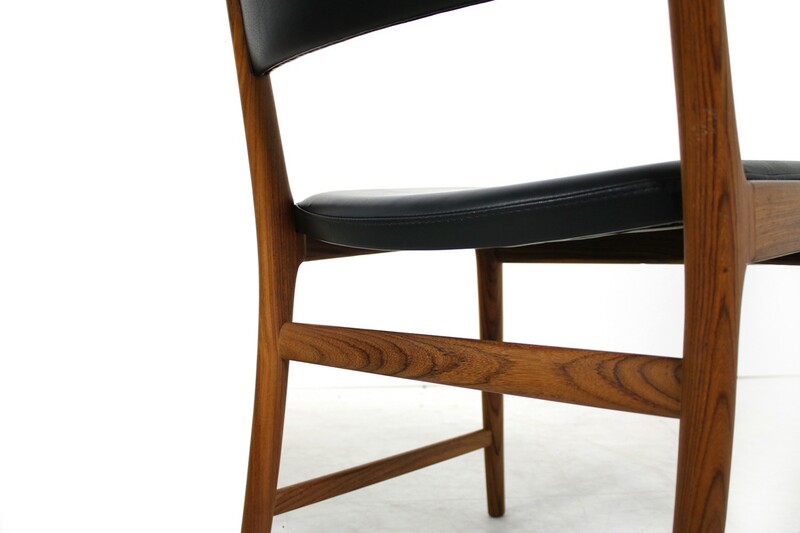 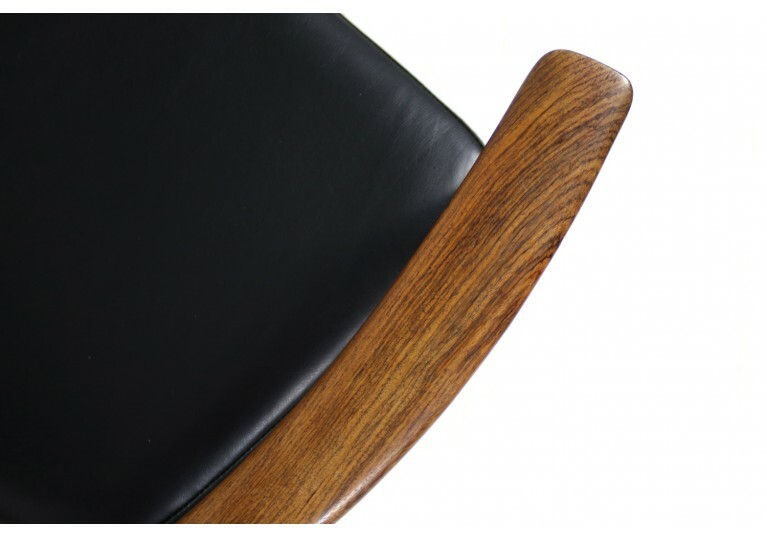 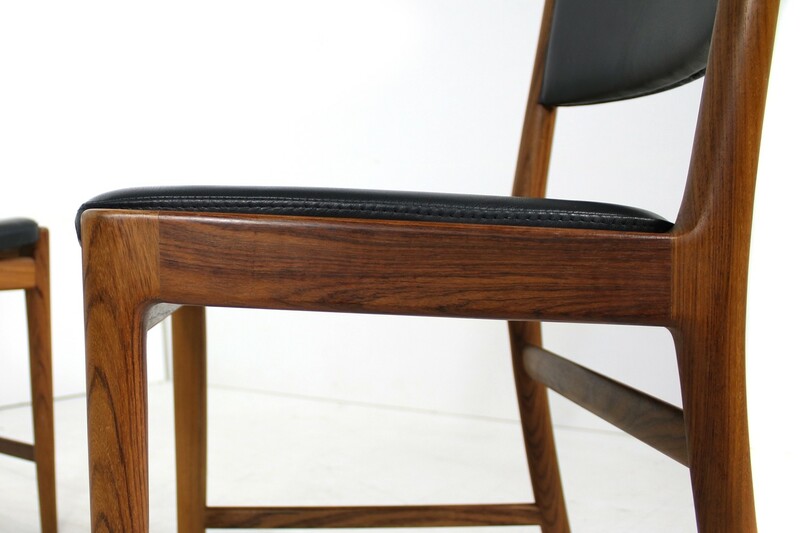 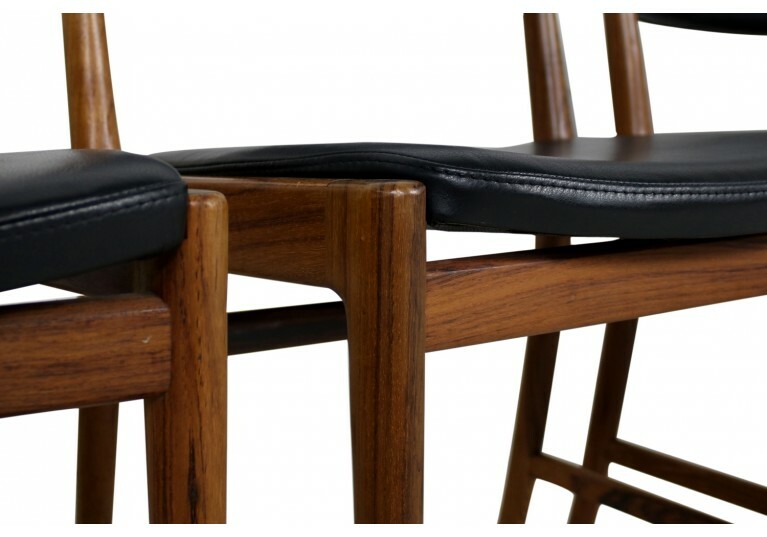 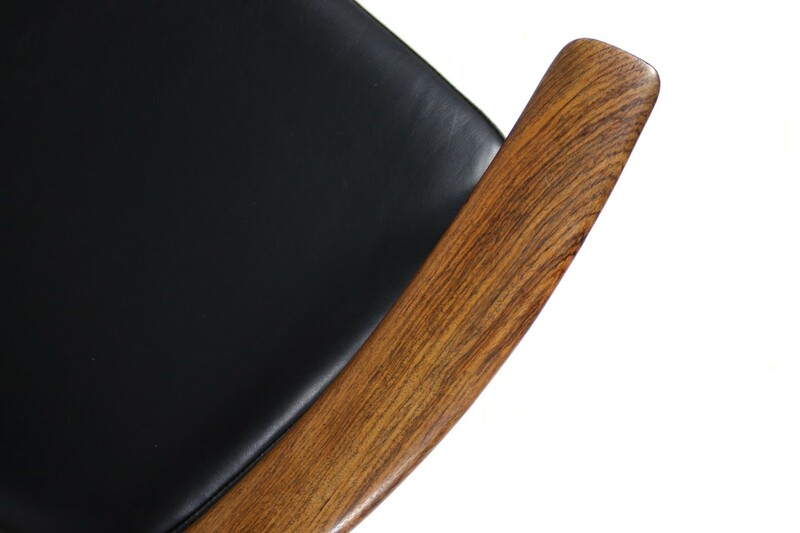 Overall two armchairs and four standard chairs, rosewood and real leather in black, the chairs were restored, frames are authentic, the upholstery was renewed, they are covered with high quality black leather. 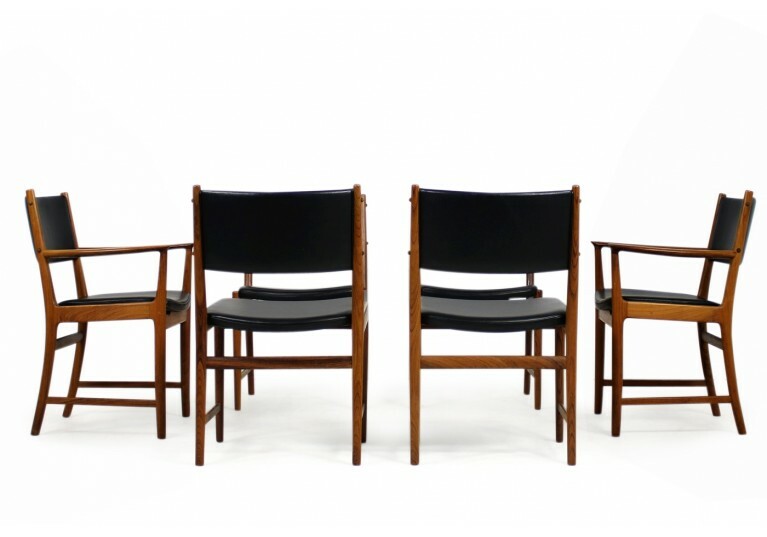 Wonderful set and beautiful condition, very rare. 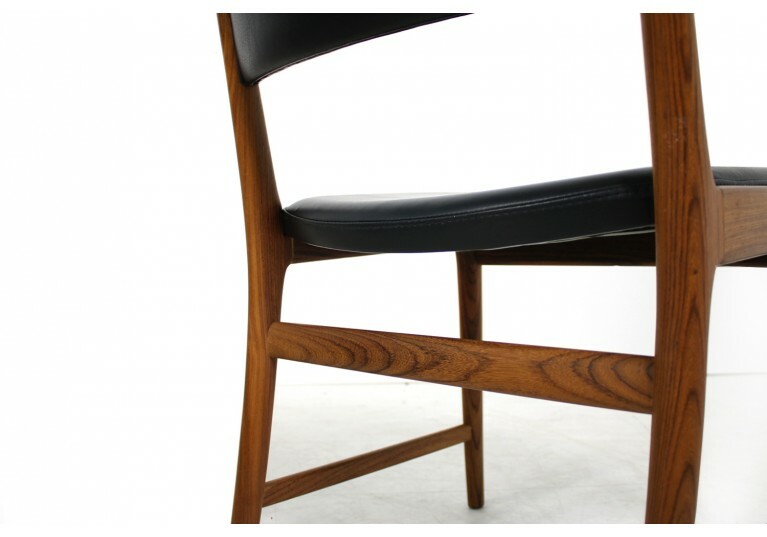 Armchair W x D x H: circa 60 x 50 x 80cm. 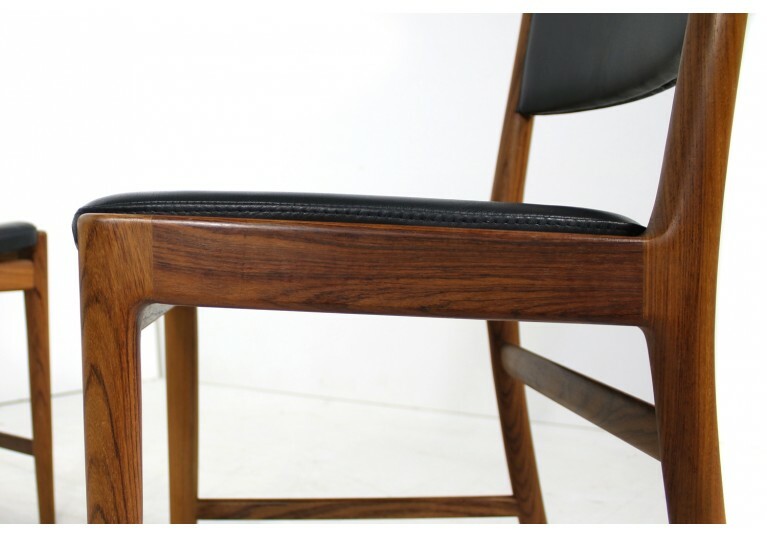 Chair: W x D x H: 50 x 50 x 80cm.